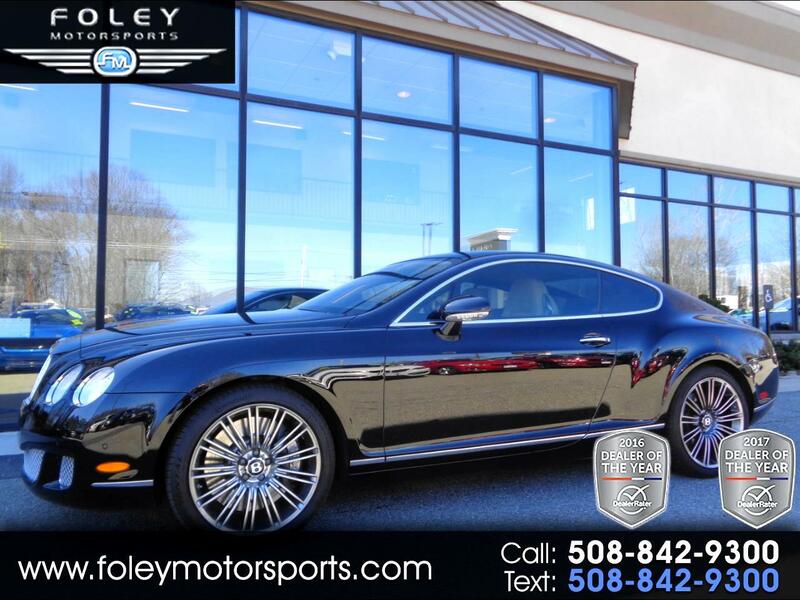 2008 BENTLEY Continental GT Speed Coupe... Beluga Black on Ochre Leather Seating... 600hp 6.0-liter W12 Engine... ALL Wheel Drive... Automatic Transmission... Very CLEAN... Recent TRADE-IN... WELL Maintained... ONLY 49,683 Miles!! 20'' wheels, wider rifled tailpipes, dark-tinted chrome matrix grilles, Mulliner Specification with drilled alloy pedals, knurled chrome and leather shifter, and Diamond-quilt patterned seat facings, door panels, and rear seat side panels), heated and cooled 16-way front seats, driver memory, keyless operation, navigation and much more!! Please feel free to contact our experienced sales team with ANY questions or to schedule a test drive. Buy with confidence from the area LEADER in Pre-Owned LUXURY. Additional 5 Year/100K Extended Warranty Coverage Available. ALL of our vehicles are meticulously detailed and serviced by our factory trained certified technicians. Call or email us at sales@rjfoley.com **$0 Down** 100% financing available with great rates! Trades are always welcome. National and International shipping quotes are available.